Felix Odiwour, popularly known as Jalang’o caused a stir on Instagram after expressing views influenced by the murder of Ivy Wangechi last week. His post rubbed many the wrong way. ‘No man gives any woman anything for free! Yes, I said it!’, said the comedian in a now deleted post. He later sort of half-apologised; saying he didn’t mean to vilify the murder but stood his ground on women accepting ‘free’ gifts. Why are you all bitter at Jalango? People should learn how to interpret Statements otherwise your way of reasoning is very Obtuse. It's simple. If you want to have a relationship, Make sure you set the record straight. What are your interest in the relationship. Wacha longolongo. The latest trailer off the ‘Star Wars’ franchise, ‘The Rise of Skywalker’ has been released. The J.J. Abrams-directed flick was unveiled to fans during an ‘Episode IX’ Star Wars celebration event in Chicago. Just a month after its longest outage ever, social media sites Facebook, Instagram and WhatsApp were down once more for close to three hours on Sunday, in most parts of the world. Facebook’s spokesperson confirmed the outage, ‘Earlier today, some people may have experienced trouble connecting to the family of apps’ but was later resolved. 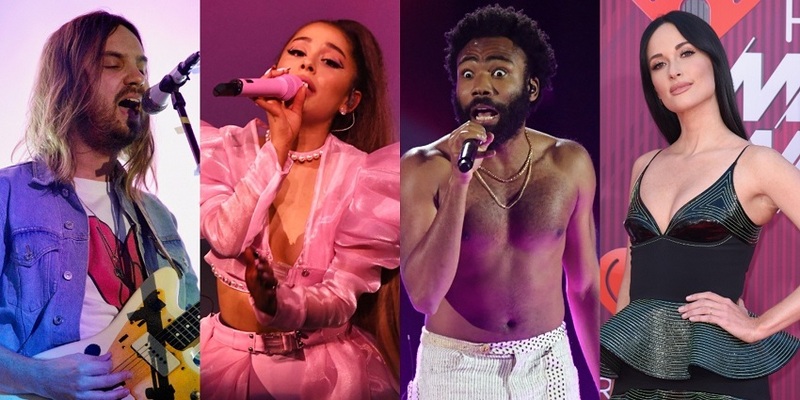 The world’s biggest annual festival, Coachella took place over the weekend and fans were more than excited to see some major performances. Billie Eilish, BlackPink and DJ Snake were some of the notable highlights at the Ariana Grande-headlined event. Jermaine Dupri tweeted that he believed the late Nipsey Hussle was Jesus and folks had a lot to say about it! Liberty Radio Awards honored top South African radio presenters and performers over the weekend with Robert Marawa and Pamela Davis scooping ‘Sports Presenter’ and ‘Campus Breakfast Show Presenter’ awards respectively. The annual gala is celebrated to promote excellence in radio. The 2019 Liberty Radio Awards winners have been announced! Tiger Woods made an exceptional comeback in the golfing scene, winning his fifth masters after 11 years since bagging his last major.